I don't talk about it much any more, but my knee has been giving me grief since the end of December 2014 and as a result I'm a borderline non-runner throughout most of the week. I've kept my toes in the water by running at Dartford parkrun on Saturday mornings and as a result my fitness hasn't suffered by a huge margin over the last three months (around a minute over 5km). However, the recover is probably taking longer than it would have if I had just stopped running altogether. 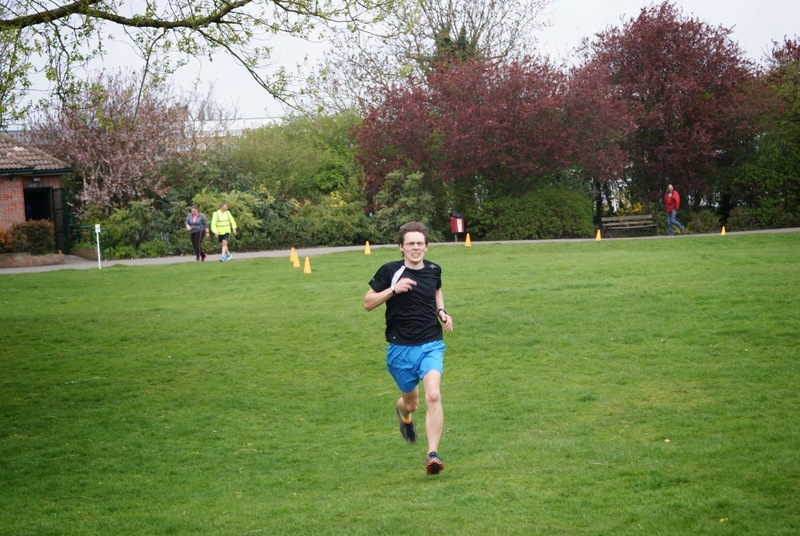 I have had to miss out on a few races that I had been looking forward to but on balance I'm happy with the decision I have made to continue running at parkrun every week. 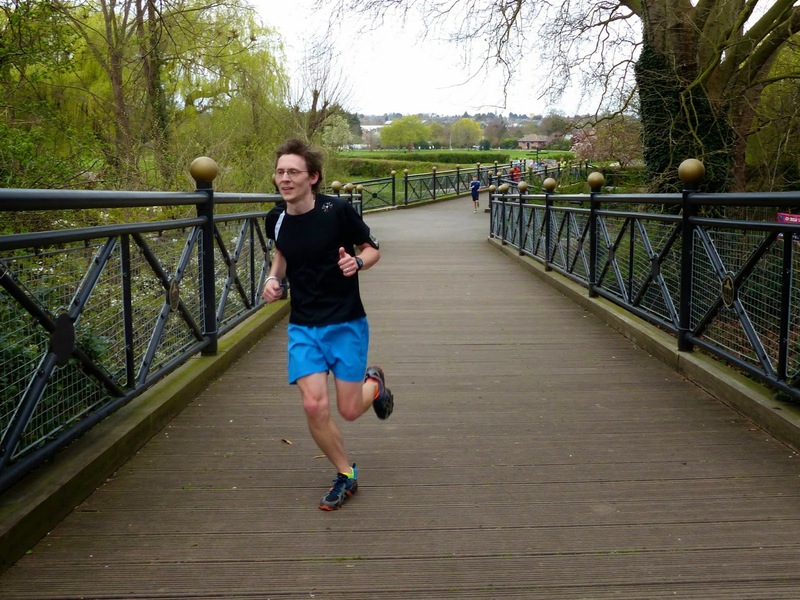 The only running I did in the week since last week's parkrun at Brentwood (and I probably shouldn't have run because I was ill) was when I popped down to Tonbridge to make a video of the Tonbridge parkrun course. Making these videos generally involves about 3.5 hours of short 10-25 second bursts to create the clips. Approx 130 video clips in total. 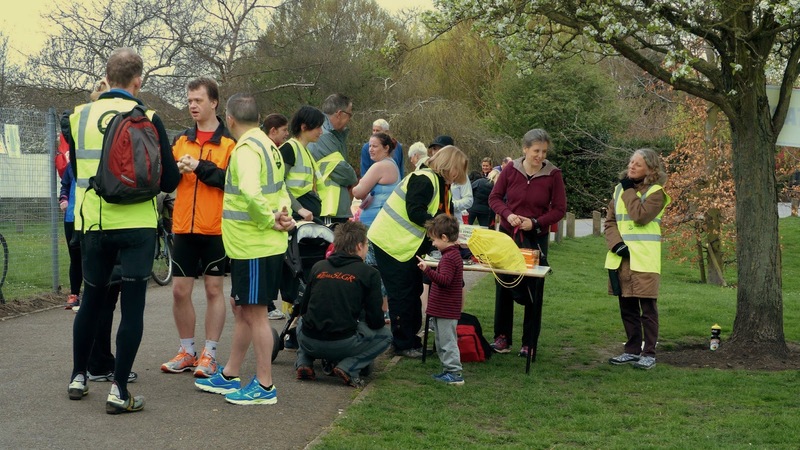 So for Dartford parkrun 37, with my knee feeling the best it had for a long time, I decided to put in a hard effort. I started at a fairly relaxed pace and slowly eased into my pace. I hit the 1 kilometre point at 4.04, but then increased the pace over the second kilometre and reached 2km in a few seconds under 8 minutes. As I was in the range for a possible sub-20 finish I decided that I might as well go for it, but when I reach the 3km point a few seconds behind schedule, I knew it would be tough to pull it around. The incline on the second lap added a few more seconds to my fourth kilometre and I completed that kilometre with the clock showing 16 minutes. I needed a last kilometre of less than 4 minutes in order to squeeze under the magic 20 minute mark. A few twisty corners later and I entered the long straight tarmac path that leads back towards the start-finish area. There was a headwind and I pushed as hard as I could. I turned onto the last grass section, glanced at my watch, saw that it said 19.50 and pushed as hard as possible right to the finish (as confirmed by my expression in the photo above), but couldn't quite reach the finish funnel in time and had my time confirmed as 20.01 once the results had been processed. Before the processing took place there was the small matter of barcode scanning to take care of. 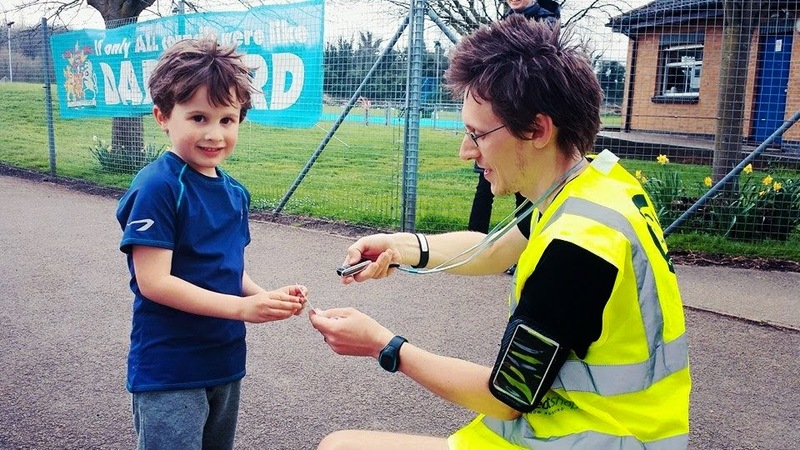 This is a great volunteering role and it allows me to run as well as volunteer (providing I get around quick enough, plus there is always a primary scanner to take care of the first few finishers). I had the absolute pleasure of scanning the barcode for Alex who at 4 years old is the youngest runner to complete the course to date. He did it in an incredible 39.29, so I'll be watching out for him chasing me down sometime in the next few years.